Choosing The Top 10 Movies from a collection of tens of thousands - spread over nearly 9 decades is a task which would always leave Bollywood fans unsatisfied. One cannot guarantee representation for each genre, time-period, actor, music director, and director. This list does not claim to be a definitive one. It's my choice of the Top 10 Movies from Bollywood. Anand Math is a black and white movie made in 1952. 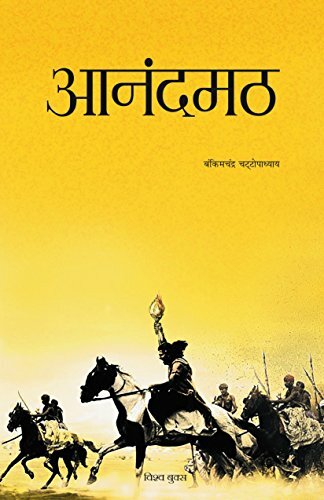 It is set in the late 18th century Bengal, and depicts the Sanyasi Rebellion. The national song of India, written by B C Chattopadhyay has been composed, sung, and picturized beautifully in the movie. The film has a great cast of actors and would be loved by all patriotic Indians and individuals interested in History. 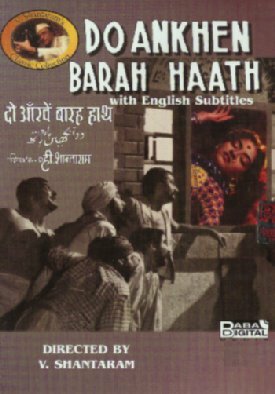 Another classic from the black and white era, Do Ankhen Barah Haath or Two Eyes Twelve Hands is the story of a Jail Warden's struggle to reform 6 prisoners in an open jail. Another movie I saw as a kid, I fondly remember the song Aye Maalik Tere Bande Hum. Do Ankhen Barah Haath was directed by the legendary director V Shantaram and was the first Indian film to win a Golden Globe Award. Like the previous movie Mother India was also released in 1957. It's one of the best movies Bollywood has produced. 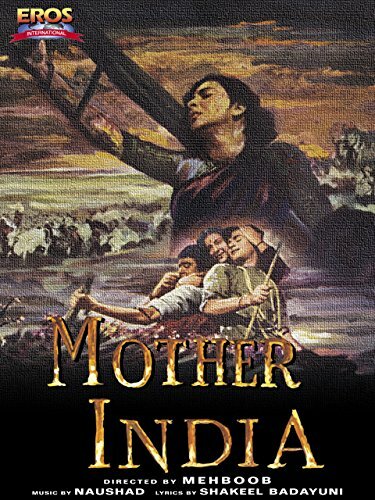 Mother India depicts the social tensions in a newly independent India. In my opinion this movie has Nargis Dutt's best performance. 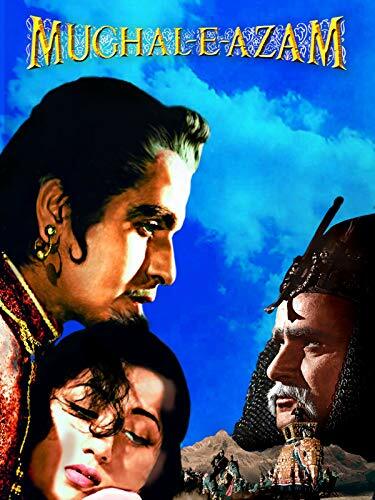 Mughal e Azam was made with a massive budget - it took 9 years to complete the movie. It was finally released in 1960. There are many stories related to the sets created for filming the movie and the innovative techniques used to picturize the songs and war scenes. Great performances by Bollywood greats like Dilip Kumar, Madhubala, and Prithviraj Kapoor make this a real treat to watch. The story revolves around the Mughal Prince Salim's love for a common courtesan and his father's (Emperor Akbar) aversion to the Prince's choice. This is perhaps by the best performance by Dev Anand - the evergreen hero who is still going great guns. S D Burman's compositions from the movie - Piya Tose Naina Laage Re, Aaj Phir Jeene Ki Tamanna Hai, and Din Dhal Jaaye are still heard by millions of music lovers. The film is based on the critically acclaimed novel, The Guide, by R K Narayan. Guide was screened at the Cannes Film Festival in 2007, 42 years after its release! Rajesh Khanna plays the role of Anand Saigal - a terminally ill patient who is determined to spread laughter and love till his last breath. Great music and wonderful performances. Made on a low budget by the Director Hrishikesh Mukherjee - the movie doesn't lack in any department when it comes to clean entertainment. After adjusting for inflation - Sholay still remains the top grossing movie in India, ever! A typical Masala movie Sholay has everything to keep the viewer hooked till the end. All characters from this movie have become a part of the Bollywood folklore. Sholay tells the story of two petty criminals who are hired by an ex-policeman to rid the village from the tyranny of a dacoit. Gabbar Singh, the dacoit played by Amjad Khan is the benchmark for all bad men in Bollywood. A simple love story told in a sweet and uncomplicated manner. This movie was released in Video format before the big screen release. A novel concept which worked. Too bad the heroine Bhagyashree bid adieu to the movies after getting married. She returned a few years later but on the condition that she'd act only if her husband is the lead actor. Didn't work. However the leading man in the movie - Salman Khan is still with us and one of the top heroes in bollywood. This movie also pulled out Rajshri Movies out of the red. Border is a war movie based on a battle during the 1971 Indo-Pakistan war. Great star cast, nice songs, made on a big budget. If you like war movies you'll certainly enjoy Border. It was a big hit and in my view one of the best war movies to be made by Bollywood. The best sports movie ever made in Bollywood. We don't know when the Indian women's field hockey team will win the World Cup but the movie is a sure treat to watch. Before Chak de India - sports just used to be a minor sub-plot. Hopefully it would spawn a new generation of sports based Indian flicks. With many weight lifters, wrestlers, boxers, and sportsmen and women in other disciplines doing well at international events, the market is ready for more such movies. Note that in classic Indian style, while the main character is the Indian WOMEN's field hockey team, the coach is the main character on the poster. Go figure. So, what do you think is the best Bollywood movie ever? If it's not in this poll, please feel free to add in the comments..
Are these the best Bollywood movies of all time? Let me know. Not sure if they are the best of all time because several of them I have not seen because they are old movies. But now you've made me curious to want to watch them. There are so many many many movies to choose from. Don't think I can name a favorite. Although there was one particular love story that I really liked. But … blarney and begora! (Trying to thrown in a little for Irish-American Heritage Month. :) ) I can't recall the name. I can see it in my mind but can't remember the name. I'll try to recall it and come back. Meanwhile, this is great Wizzle. Gonna share it.